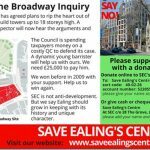 SEC is campaigning to prevent the destruction of the part of the Broadway between the Arcadia Centre and around Carphone Warehouse as far as the station, and replace it with an inappropriate, high-density development. 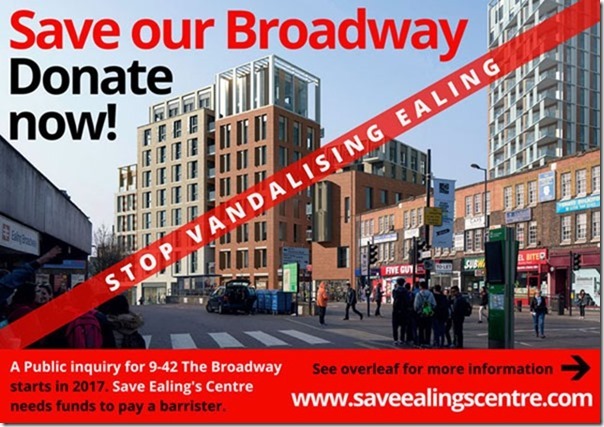 The Secretary of State has “called-in” the planning application and there will be a public inquiry in May 2017. Historic England will appear, along with SEC, to put their numerous objections. 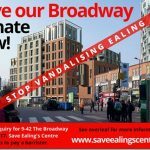 There is to be a pre-inquiry meeting with the inspector and all main interested parties in Ealing Town Hall on Wednesday 30th November at 1400 hrs. All are welcome and you are encouraged to attend. 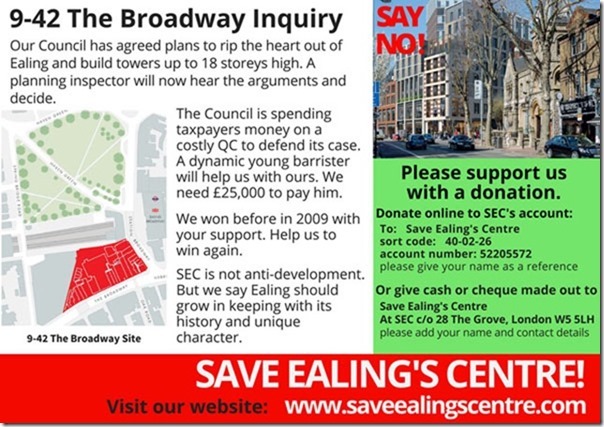 SEC needs to raise £25,000 to pay a barrister to explain the harm the plan will do. This entry was posted in Old News on November 29, 2016 by CaRa1859Zx.